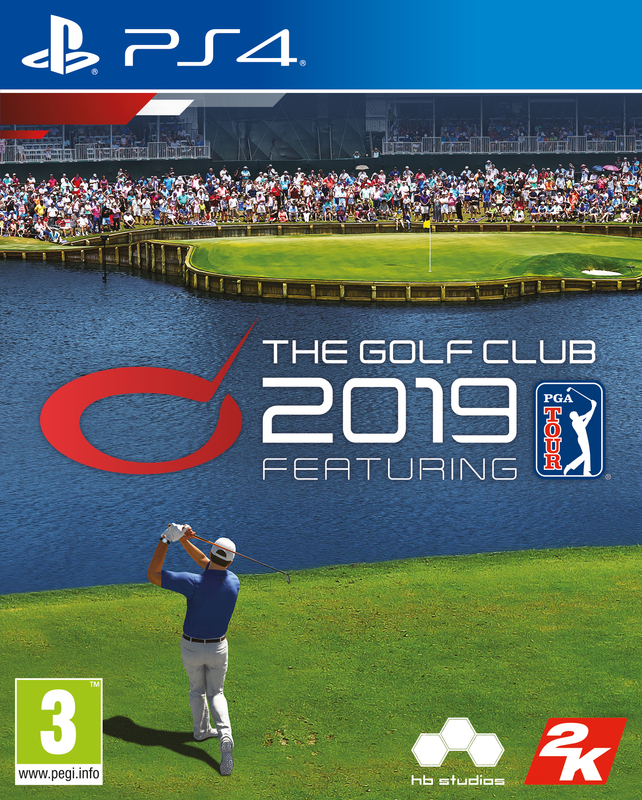 The Golf Club 2019 brings the majesty of the sport to modern consoles and PC, setting a new franchise benchmark for authenticity and realism through improved gameplay and visuals, and featuring licensed PGA Tour courses. The all-new officially licensed PGA TOUR career mode takes players on an authentic journey through Q-School and the Web.com Tour to earn your right to play in a 32-tournament PGA TOUR season that includes beautifully precise replicas of PGA Tour courses that are accurate down to one-meter of resolution of the real-life courses. Bring your golf fantasies to life with virtually endless customization options for both your courses and characters. Compete online against friends or the world in two all-new modes – Alt-Shot and Skins – that have been highly requested by The Golf Club community. And finally, back by popular demand, the Online Societies feature has expanded to allow for greater accessibility and customizability. HB Studios, PGA TOUR, and 2K have joined forces as industry-leaders in sports, golf and gaming to deliver the deepest, most comprehensive virtual golf experience yet. SIGNATURE AUTHENTICITY AND REALISM: The Golf Club 2019 sets a new franchise benchmark for authenticity and realism through improved ball physics, swing mechanics, swing feedback and other core gameplay mechanics. The game delivers unparalleled visual fidelity powered by award-winning and industry-leading SpeedTree® technology used in top blockbuster games and films. A completely overhauled user interface gives the entire experience a new look and feel. PGA TOUR CAREER MODE: For the first time in the franchise’s five-year history, players will experience an all-new officially licensed PGA Tour career mode takes you on an authentic journey through Q-School and the Web.com Tour to earn a Tour Card and play in a 32-tournament season featuring beautifully precise replicas of well-known PGA Tour courses. Players will complete challenges against rival players to earn points throughout their careers, complete sponsor goals to earn licensed rewards from brands including Under Armour, and work towards the goal of ultimately competing for the FedEx Cup. PLAY ON LICENSED PGA COURSES: In addition to the more than 170,000 user-created courses already available, players can now compete in a complete PGA Tour season over 32 events featuring fully licensed tournaments on TPC Courses including TPC Boston, TPC Southwind, TPC Summerlin, TPC Sawgrass, TPC Deere Run and TPC Scottsdale. Each course is intricately mapped using high detail terrain data powered by SpeedTree® technology, for a lifelike, immersive experience that’s accurate down to one-meter of resolution of the real-life courses. NEW GAME MODES AND EXPANDED MULTIPLAYER, SOCIAL CAPABILITIES: The Golf Club 2019 features three different playlists including two new game modes – Alt-shot and Skins. Track results across each playlist on a leaderboard tracking Wins, Losses, Draws and any virtual currency earned. SOCIETIES: Players can create online or solo groups of golfers known as societies. Like owning a golf clubhouse and course, the game allows players to start a clubhouse, grow their members, upgrade their clubhouse, and run tournaments with control over event requirements, conditions, entry fees, payouts, bonus purses and even alternative events for members who don’t qualify for the society’s main events. Society owners can now add other players as Admins and earn virtual currency from their societies. COURSE DESIGNER: The award-winning course designer has returned to this installment of the Golf Club and is bigger and better than ever. Players can design, build and share courses online using cutting edge procedural generation and with powerful terrain editing tools. New features include optimized autofill options when drawing splines and painting surfaces, and an extensive library of 400+ props for designers with which to create. Players can share their courses across platforms so any player can access it, no matter what platform they play on. FULLY CUSTOMIZABLE CHARACTER EDITOR: The Golf Club 2019 features a robust and expanded character editor. Some of the new character customization options include licensed apparel with brands like Under Armor, as well as the ability to select new club heads, complete with membership selection, Clubhouse enhancements and tournaments. All character customizations are cosmetic and do not influence gameplay, allowing players to customize their characters however they like without any consequences to their golf game.